Joseph Stevens Cain, of Wynnewood, PA and Avalon, NJ, passed away on August 21, 2018 at his home in Wynnewood. He was 85. Son of the late Joseph Martin Cain and Margaret Mary Stevens Cain, he was born in Newark, NJ on July 27, 1933. Joe was a graduate of Lower Merion High School and The University of Pennslyvania Wharton School, where he was a member of Sigma Alpha Epsilon. He attended Villanova University School of Law. He was a member of the National Society of Scabbard and Blade, American Legion Post #545 in Merion, PA, the Friendly Sons of St. Patrick and the Philadelphia Country Club. He also completed training and obtained a private plane pilots license. A proud small business owner he had three Ben Franklin 5+10's in Clementon, NJ, Media and Warminster, PA. He was also a real estate investor and owned three motels in Stone Harbor and Sea Isle, two spec houses in Avalon, a hotel on the beach in Stone Harbor, some ground in Avalon and a condominium building with 6 units in Avalon. Joe was the beloved husband of Elizabeth Anne "Betsy" Cain (nee Cronin). Devoted father of Lieutenant Colonel ElizabethAnne M. Cain, USA (Lieutenant Colonel Michael Bellenoit, USA Ret.). Loving grandfather of Ronan & Rory Bellenoit Cain and step-grandfather of Max, Eva and Aaron Bellenoit. Also survived by his sisters-in-law Kathleen Sheeder (late Earl), Susan Cronin (late William), Mary F. Cronin, Clare M. Kunz (late Carl), Dolores M. Stork (David) and Denise M. Dauber (Mark); brothers-in-law John J. Cronin, Gerard J. Cronin, Joseph P. Cronin (Laurence Fieber) and James M. Cronin; many cousins and numerous nieces, nephews and grand nieces and nephews. 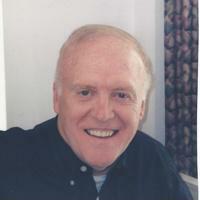 A Funeral Mass will be held on Thursday August 30th , 11 AM at St. Margaret Church, 208 N. Narberth Ave., Narberth, PA. Relatives and friends may call at the Church after 9 AM. Interment will follow in Arlington Cemetery, Drexel Hill, PA. In lieu of flowers, memorial donations may be made to Dr. Edward Stadtmauer, Abramson Cancer Center, Multiple Myeloma Program, 3400 Civic Center Blvd., 4th FL., West Pavilion, Philadelphia PA 19104.